From 2010 to 2013, Pakistan was hit by the worst flooding in its history, directly affecting about 20 million people, mostly by destruction of property, livelihood and infrastructure, with a death toll close to 2,000. CMPak and its employees stepped up and stood by the calamity hit people. Food, ration and medicinal aid were dispatched to the affected areas in order to assist the ongoing relief activities. CMPak’s volunteers themselves distributed boxes of relief goods to aid over 4,000 affected families in the area. During these relief activities, our employees demonstrated a spirit that truly befits our values and enterprise image. CMPak has entered into a strategic partnership with Lahore University of Management Sciences (LUMS) through a Memorandum of Understanding (MoU) for the development of a state-of-the-art 4G research lab at the university. The MoU has paved the way for hundreds of students of Pakistan’s top-ranked business management university to polish their academic endeavors on latest technological lines. CMPak is proud to serve and provide high speed 3G broadband services under a project with the Higher Education Commission (HEC) which caters 100,000 students nationwide. Through this, students will be provided privileged wireless access to Global Educational Resources available on HEC’s Digital Library through PERN (Pakistan Education & Research Network). The HEC Digital Library resources were currently available to students only in campuses of respective Universities, but by virtue of this project, students will be able to access the Digital Library resources across the country, anywhere, anytime. The students will also enjoy seamless Internet services through co-branded MBB dongle devices with a highly economical exclusive students’ package. In addition to the above, CMPak has actively participated in youth development initiatives such as Islamabad Model United Nations, 10th Young Leaders’ Conference and on campus activities in Isra & NUST Universities. CMPak has launched its Employees’ Volunteer Program under the hood of “A New Hope” aligned with our brand philosophy of “A New Dream”. 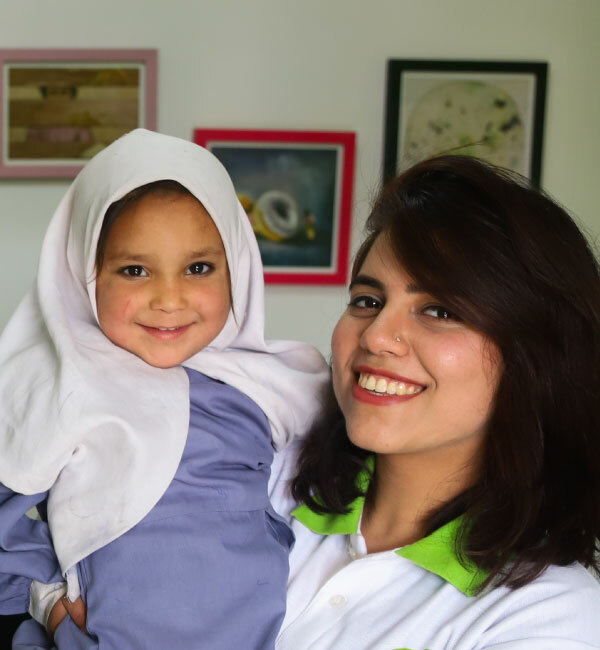 “A New Hope” is our commitment of being the change by working with partner organizations in domains that impact the lives of millions of Pakistanis. The program aims at creating a workforce of volunteers who contribute to the society through delivery towards different causes. The goal is to clock at least 2,000 hours of volunteer work annually which will be a significant contribution to the society. Core Areas of volunteer activity include.